I have had the honor of working with some of the most inspirational parents and educators across the world. I am humbled by their words and feedback. Learn more about parent consulting or purchase a session. Attending Teresa’s immersion workshop on Liberation Parenting was one of the most impactful things I’ve ever done for myself. Teresa is an amazing woman who is gentle and skilled at helping you to draw out “stuff” you may not even know is lurking there! It was my first year at Rethinking Everything and I had many insightful and eye-opening conversations. But one that stays ingrained in my mind is the session with Teresa Brett and the group she facilitated. We shared our past, especially painful experiences that had left us wanting for acceptance. There was a calmness and quiet empathy about Teresa. Her compassionate disposition made it easy for me to share my past, a lot of which I hadn’t discussed with even some of my closest friends and family. Teresa’s personal trials of parenthood gave me hope that I could be the parent I’ve always wanted to be. She simply pointed out how our actions as parents emanated from the conditional love that we may have received in our own childhoods. She helped our own stories flow and fill the room. Here we were- people from various backgrounds, cultures and lifestyles, bound by a need to give that unconditional acceptance to our children that we now know is at the very core of happiness. I’ve been working with Teresa for the past year. She has been a shining light, a mediator, a mentor, and an inspirational force. She’s been a source of support and validation, and also challenged me to see and explore topics in ways I hadn’t previously considered. She surpassed my expectations through her ability to take a holistic approach to each and every situation, and to address issues with the open mind and heart of someone who can combine years of leadership experience with the ability to deeply listen and engage multiple viewpoints. Learn more about consultations here. 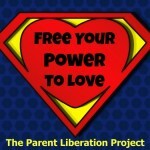 Check out my Parent Liberation Project at one of my non-profit partners, Kindred! Proceeds benefit Kindred's Parent Education Programs. Get my e-newsletter by subscribing below. We're sorry to hear you're thinking about asking for a refund! 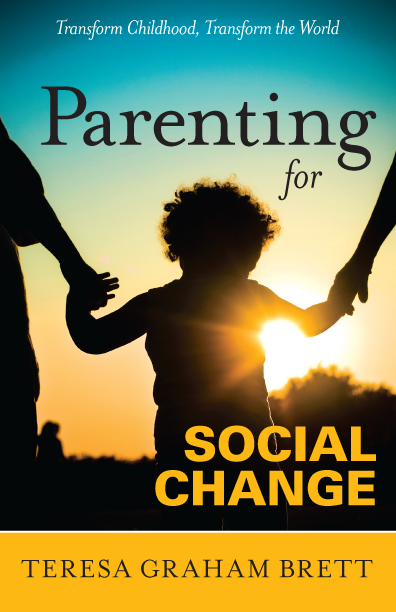 If you would like to discuss any issues you have had with your experience, please send an email to tbrett@parentingforsocialchange.com, and we would be happy to resolve any issues you have had. If you are sure you would like to receive a refund, please submit the form below. Please note that when the refund is issued, you will lose access to the products you purchased in this order. If you would like us to contact you at a different email address than the one we have on file, please be sure to include it in your message.